Harry Dansey (Ngāti Tūwharetoa) became the first published Māori playwright when his play Te raukura: the feathers of the albatross appeared in 1972. It portrayed Te Whiti's passive resistance movement in Taranaki, the home of Dansey's wife's people. In 1975 Dansey became race relations conciliator. 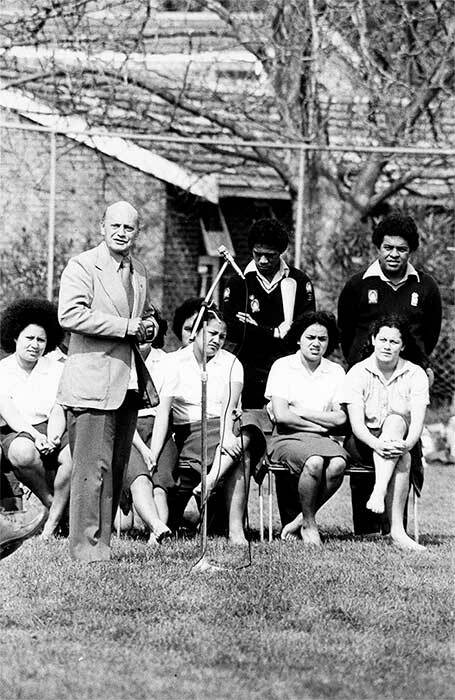 This 1979 photo shows him judging the haka competition at Ōtāhuhu College, Manukau.